A blend of selected Grillo, Cataratto and Inzolia aged for 5 years in oak barrels.. Well-balanced notes of toasted almonds, dried figs and sultanas on the nose. 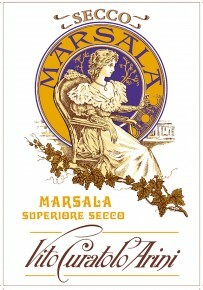 Marsala Superiore Secco has delicate notes of vanilla and oak on the palate and is elegant and moderately dry. A truly interesting match is found if served with ripe cheeses and excellent with dried fruit and pastries made with “ricotta”. Best to serve in a medium tulip glass slightly chilled at 15°C.